The original version of this page had a line in panel 3, but Sofia thought it worked better as a silent panel and she was right. 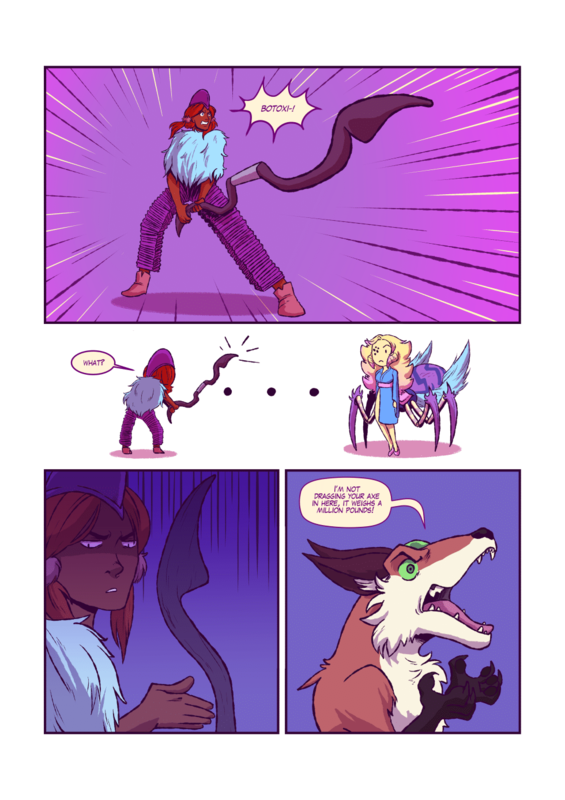 Last week we showed off some of the new comedy series on Spiderforest, so have some downer comics this week! Meanwhile, Legend of the Hare v2 is starting to move from pre-poduction to real production. I want to submit LotH to Spiderforest next application season, so I’d better get moving!